This week in the kitchen I am cooking Ranch Potatoes. 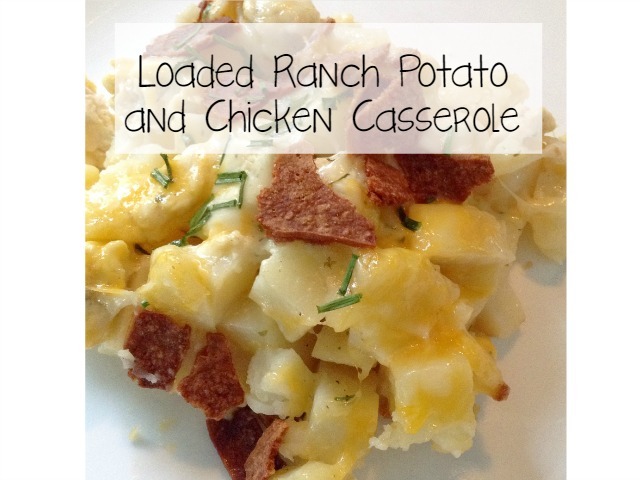 I have been craving Cheesy Ranch Potatoes and this is a good way to incorporate some chicken and make it into a one dish casserole. I would have to say the only downside to having a freezer full of meat from Shopease Foods is trying to decide what to cook every night. Almost too much selection. Don't get me wrong the meat is the best we have ever tasted but how do you narrow down your selections every week. I have taken to making a meal plan at the beginning of the week and I bring up only what I need for the week to my main fridge/freezer. 2. Spray 9x13 pan so potatoes won't stick. 3. Dice potatoes into bite size pieces you should have enough to cover the bottom of the dish. 4. Mix potatoes, salt, pepper and ranch dressing in a bowl. Stir to combine. Then put potatoes into casserole dish. 5. Bake potatoes for 30 minutes at 450*, tossing the potatoes every 10 minutes. 6. Use leftover ranch dressing in the bowl and add another 1/4 cup to it and coat chicken that has been cut into 1-inch pieces. Marinate chicken in ranch dressing until potatoes are cooked. 8. Once chicken is cooked bring casserole out of the oven and top with cheese, bacon and chives. Put back into the oven for about 5 minutes to melt cheese. I hope you enjoyed this week's What's Cooking Wednesday, do you have a favourite casserole your family loves? I would love it if you could share the recipe with me so I can give it a try.